If you shop very often on Amazon, their deal for free 2 day shipping is pretty fun. You also have access to Prime Video which is like Netflix. We used to use iPad white noise apps but the iPad speaker wasn’t loud enough and having a dedicated appliance is actually easier. While it is still electronic the looping is seamless, the noise is actually loud enough to drown out other loud noises and the sounds aren’t obnoxious. If you’re looking for a sound machine I can’t recommend this high enough. I’ve always used my iPad and iPad mini for e-reading but could never really get into it because the screen would eventually tire my eyes out and even the iPad mini was got heavy and awkward to hold. I had resisted getting a Kindle because it seemed so impractical while having an iPad. I wish I had gotten one sooner. It’s so comfortable and light to hold. I can read in any light, my eyes don’t get tired and I’m not distracted by other apps. Its fantastic. For as as I can remmember I’ve wanted a Bose system. Sure there are probably systems that are better and some that are cheaper but I can still remember going into a Bose store and being blown away by the quality and size of their products. As we neared finishing our basement I had the opportunity to finally get one and I haven’t been disappointed. The great thing about this particular system is that it also acts as a video receiver (it has 4 HDMI in ports) so I can reduce the amount of components we use. It sounds great and looks great. Tons of fun. I don’t normally like endless scrolling games but there are two components that made this a winner. First the design of the game is absolutely gorgeous. The sunrises and sunsets are worth it by themselves. Second the developers did a great job at adding in challenges and levels to get you coming back to play. There are some that were insanely hard but it was always fun. It was especially fun to pair the game with LCD Soundsystem’s song Dance Yourself Clean. I love watching movies and for the longest time I’ve wanted an easy way to not only keep track of what and when I watch but to be able to rate the films right after I watch them. This is a well designed, well functioning app that does both of those things. My only wish is that they would incorporate TV series to track. My favorite camera/filter app is still VSCO but Filmborn has some really great filters as well. Our family is a huge fan of Mario. We’ll most likely but the new Nintendo just to get the new Mario game. So when I heard that Nintendo was releasing their first mobile game on the iPhone I was pretty excited. It takes a bit to get used to but the spirit of the game is the same and is a lot of fun. I had known Amazon acquired Audible but I never put it together that my Amazon Prime account would give me some benefits there. That is until a long drive to Colorado had me searching for audio books to download and I noticed that Audible was asking if I had an Amazon login. Why yes, yes I do. In the apps channels there are a number of free audiobooks, nothing real recent, but a lot of good stuff nonetheless. These are in the order that I saw them not what I think is better. I ended up seeing 36 new movies this year (I know that because of the app Letterboxd–see what I did there :) and there were 9 that I rated 4 ½ stars or better. My scale actually goes up to 5 ½ stars. 1-4 stars based on quality of story, acting, cinematography, and then an extra ½ star if I like/recommend it. What a great thriller. I loved the original Cloverfield in that the way they told the story was so original. This was completely different though it’s supposed to take place in the same universe. The acting and suspense are top notch and you’re left guessing as much as the characters are. If you didn’t enjoy the original Cloverfield you may not like the ending of this one but I thought it was fun. My son and I are big Marvel fans generally and big fans of Captain America in particular. The Captain America movies have been I think far and away the best of all the Marvel movies. The second installment with Winter Soldier might be the only comic book film to come close to the Dark Knight in terms of story and filmmaking. Civil War was fun because it had so many characters including Spider Man! The premise of civil liberties mixed with foreign policy was a great foundation to build the story on and the action was great. One of only two films on my list to get 5 stars, this is a multi-part documentary that is a must watch. Not so much for the story of OJ, though that is really compelling, but moreso for the events in the culture that led to events of the trial and the reactions during and after. The insights on race and culture are extremely eye opening and sobering. Another great documentary, Zero Days tells about the state of offensive cyber warfare in general and specially about the combined attack on Iran by the US and Israel with the Stuxnet virus. Incredibly Stuxnet was only the tip of the iceberg and the NSA was ready and capable to shut down all of Iran's infrastructure if Israel physically attacked them and we we drawn into a war. In 1863, Mississippi farmer Newt Knight serves as a medic for the Confederate Army. Opposed to slavery, Knight would rather help the wounded than fight the Union. The reasons I really liked this movie are it's a true story, fantastic acting and this is subject matter we can never learn too much about. Eye in the Sky is a very intense modern warfare drama that explores the use of drones. There is a situation in another country where the use of a drone strike will undoubtedly save lives but there will also be collateral damage to civilians–in this case a small innocent girl. From this I expected the typical scolding and virtue signaling that comes from Hollywood not to mention a tired story that tries too hard to push an agenda. I could not have been further from the truth. The best films are the ones where you have an idea of what's going to happen and then everything is turned on its head. This is one of those. The film is set in 7 different simultaneous locations and switches between them to provide the perspective of each character where they are at. This is beauty of the film and provides a tremendous amount of tension. It also allows the view points on all sides of the issue to be represented. I thought they did a very fair job at this. In the end the film extols the horror of war, the massive decisions our leaders and military make on a daily basis, and does a tremendous job in not glorifying violence. While Hacksaw Ridge doesn’t glorify violence, it doesn’t shy away from it either. It’s important for us to realize how horrible war is so we avoid it at every conceivable turn. Its also important to remember and recognize the sacrifice and bravery of those that serve. This film is an amazing salve of heroism, liberty, and the true American spirit. It depicts the common ground of decency and liberty we can find together. I'm not a huge Star Wars fan but I've enjoyed them, and since they are part of the larger culture I do feel some responsibility to embrace them on a certain level. That said I really enjoyed The Force Awakens last year and I enjoyed Rogue One even more. I really liked the fact that they had another strong female lead and it was very interesting to see all the foreshadowing to A New Hope. The last few minutes when Darth Vader appears out of the black and shows his true power is worth the rest of the film. The other film to recieve 5 stars was Arrival. It has a great twist, sparks the imagination, and presents an "alien encounter" in an incredibly realistic fashion. There is a palpable tension throughout the film that is necessary and realistic given the stakes. It's gorgeously shot and the shallow depth of field added to the overall tension. There is a noticeable amount of silence as well which is just as effective as the soundtrack. I love Brett McCracken’s review of the film and I would encourage you to read it. He asks this poignant question: “Would the “gift” of seeing the future be a blessing or a curse? How could a brain that grasps the eternal picture—an all-at-the-same-time awareness—not go insane in a time-bound world?” And obviously you can fill in how this might be fascinating to think about, especially around Advent. In a year fraught with political animosity this book was extraordinarily helpful to take us back to the founding of our country and to rediscover just how unique and special the idea of America is. This is the memoir of a Yale grad who grew up in Appalachia and in a small industrial town with as dysfunctional of a family as you could ever find. Its compelling and revealing especially in this election year. No wonder it hit #1 on the NY Times bestseller list and has taken the country by storm. Be sure to also read Mez McConnels review and reflection of his own experiences. I finally read the book that inspired my all time favorite documentary. It recounts the story of Joe Simpson and Simon Yates' successful but disastrous and nearly fatal climb of the 20,813 foot Siula Grande in the Peruvian Andes in 1985. The story is utterly amazing. I’ve never read anything by Isaac Asimov before but I’m glad to have started. I really enjoy thinkers who not only posit what the future could be but nuances and problems that might occur because of it. I also love stories that deal with time travel and this book is all about time travel and the effects it has on mankind. 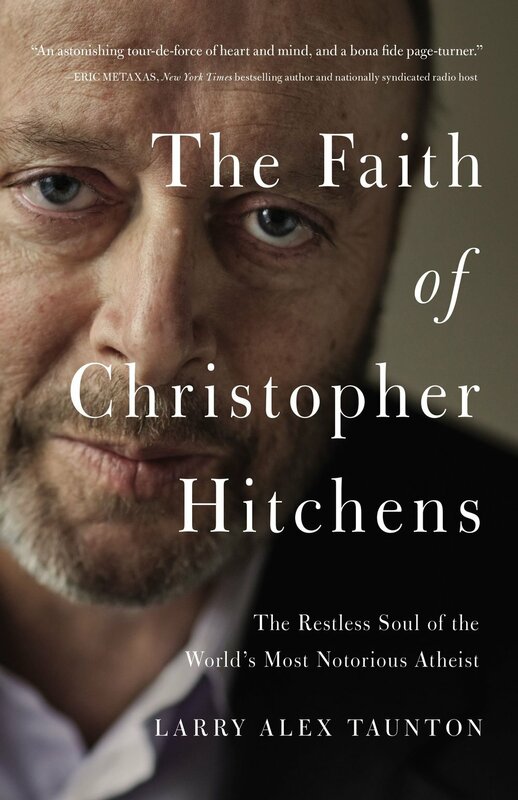 Christopher Hitchens is famous or notorious for being an outspoken atheist. This book tells of the friendship that he had with a Christian Pastor. It is so encouraging on a number of levels. It gives hope for all and it shows that love can transcend even the largest of disagreements. Aaron Draplin is a designer who has designed a lot of really cool things. This book is part memoir, part portfolio, and all awesome. It’s a massive book that is beautiful to look at and provides tons of inspiration. How could I leave out my own book!? What an amazing year it was to see the launch and positive reception of something I’ve worked on for so long. This was a treat that was completely unexpected and so much fun to end to the summer with. Me and my generation are obviously getting older and as we are the primary money makers and spenders I’ve noticed that we are quickly becoming the targets of many advertisers and shows. Nostalgia is huge right now especially from the 80’s. The creators of Stranger Things nailed the nostalgia factor and everything that we identify as cool and fun about the 80’s they packed in. Nostalgia alone however won’t work but there was a fun intriguing story and some really great young actors to pull it all together. I can’t wait to see what they do with season 2. Speaking of nostalgia… The show Halt and Catch Fire while always being character driven is based on computer companies and the development of technology in the 80’s and 90’s. This last season we saw the influence of Nintendo and the birth of web. This article by Jason Kottke nailed the sentiment and how cool it was to first discover the open web and it’s possibilities. The best shows are always about humans. What I mean is they are trying to convey human emotions and reactions to problems and everyday situations. The shows that do well are those that explore this while developing the characters around an interesting story. Broadchurch has to be one of the best at drawing a real emotional connection. In the story a young local boy of a small beachside English town is found dead and the plot revolves around solving the case. The story itself is compelling enough with lots of twists and turns but the focus on the true emotional state of the town in general and the family in particular is what makes it special. Spinoffs and sequels generally don’t do very well. With the exception of a few they struggle to either come up with their own story or rely too heavily on the nostalgia of a previous show. Better Call Saul has done both brilliantly. They have crafted an amazing and interesting backstory to how Saul from Breaking Bad became Saul and hey throw in just enough of the Breaking Bad world to hit that nostalgia button. This show is so fun and so well written and acted it might equal or dare I say surpass its predecessor? There wasn’t a lot of new music for me in 2016 that made a real impact but here are a couple. I love the sound of Mutemath and the unique spin they put on their music. Changes was a remix of their most recent album Vitals but it included one new song called Changes. The words I use to describe it are “pure sonic fun.” There is something unexpected around every corner and it’s a joy to listen to. I had never heard of Tommee Profitt before my friends Lisa and Curtis got married. They used his rendition of the song Even So Come as the attendant march and it blew me away. He absolutely nails the emotion and power of the song and it brings me close to tears when I listen to it. These are things that were great about 2016 but don’t fall into a particular category. We were privileged to launch our book into the world at the T4G conference this year and we had some amazing support from some really good friends. We are super thankful for our Cody and Londa. They were so encouraging and supportive during this week. They were literally pulling strangers aside and telling them about my book! Each of them is the definition of a joyful servant. Blessed beyond words to know them. Thank you! As my passion for photography has grown I’ve been blessed to be able to take photos for fun at various events including several weddings of good friends. It was so fun to capture some of the many emotions and moments of those days and give it to my friends. Even though they ended up losing the game the kids had an absolute blast. While we were watching the players warm up Bennie Fowler gave Jace his receivers gloves, the Broncos published some of my photos from Twitter all over the stadium, and we even got on the big scoreboard! I can’t think of a much better way to spend a day then hanging out playing games with friends, being fed for free, and in the end getting a year’s worth of Chick Fil-A just for being there. So much fun. Mia had an amazing Winter and Spring in soccer and was constantly mentioned as one of the best keepers for her age group. I was lucky enough to record a number of her highlights and put them into a short video. With the release of my book came some really cool opportunities. One of those was to promote it and talk about it on a nationally syndicated radio show. The segment went really well and was a part of the book ultimately making it onto the front page and number 20 overall of Amazon’s best sellers. Something switched on for my son this past year and he has become crazy interested in sports. This has been all sorts of fun for me as we got to share the Broncos’ Super Bowl victory together. I still come home every so often and see him rewatching it! I couldn’t be prouder. Even though the 2016 campaign was crazy and a lowlight for many I had the opportunity to stand up and speak for Ted Cruz at our local caucus here in Iowa. Even though Cruz eventually bowed out he did win our caucus and the state of Iowa in the primary and I’m happy to have played a small part. In addition to speaking at our caucus I also got to design several infographics for the campaign to use to help promote Ted’s message. This is unique to our place in Iowa as I was able to get to know several key team leaders and contribute to the campaign. Anytime I get to be creative and share the gospel at the same time it’s the perfect confluence. We had a number of people get baptized this year and I was able to help tell their stories. Watch some of our stories here. My year ended by being able to take a trip to Phoenix where we are working to plant a church. The primary purpose was to shoot photos and film to help promote the church both here in Iowa and there in Arizona. It was so much fun seeing friends that moved down there and being able to do what I love to help the church grow.